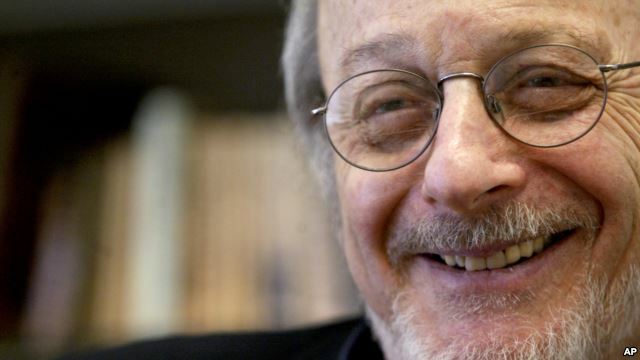 American novelist E.L. Doctorow, author of such tomes as Ragtime, Billy Bathgate, and The March, has died in New York at age 84. The writer's son Richard Doctorow told reporters his father died Tuesday of complications from lung cancer. Doctorow was characterized by President Barack Obama as "one of America's great novelists." The president said in a Twitter message Tuesday that he learned much from Doctorow's books -- mixtures of history and fiction, tales unspooled in a variety of experimental narrative styles. Doctorow is said to have covered more than a century of American history in his 10 novels and two short story collections. He also authored a play called Drinks Before Dinner and numerous essays and articles. Doctorow's works won a series of top U.S. prizes for fiction -- the National Book Award for World's Fair, the National Book Critics Circle award and the PEN/Faulkner award for Billy Bathgate and The March. His novel Ragtime was made into an Oscar-nominated movie and later into a Broadway musical that won four Tony Awards.